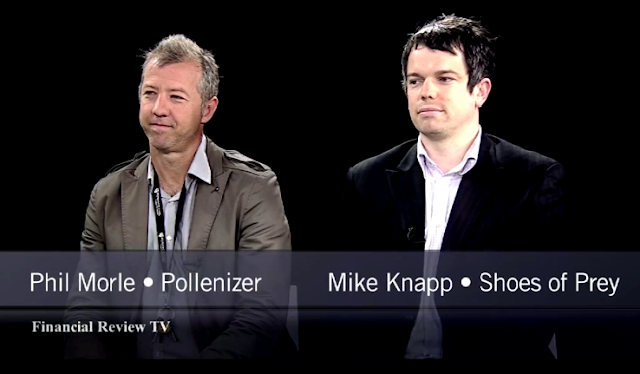 Last week Mike was interviewed by Mark Jones at the Australian Financial Review and together with Phil Morle of Sydney based startup incubator Pollenizer they discussed tips for managing Gen Y. You can watch the 15min video of the interview here. Mike discusses the ROWE method of management or Results Only Work Environment. That's very much the approach we take with ourselves and Carmen, Vanessa, Qun and Melissa and it's the approach we plan to take as we look to hire more people in the future. Great post Michael. One day can you please comment on your experience/views about working in a fundamentally technology driven sector without any formal schooling in computer science etc? I'm interested to hear your views on this topic as traditional business graduates (those with commerce/economics and/or law degrees) will be increasingly working in an e-commerce environment as the sector grows? i'm not surprised by Giam's comments either at the start of the video, Deloitte's been quite forward thinking in terms of innovation. Disclosure - I worked there in the past. Saf - great idea for a post. I'll put something together over the coming weeks. Matt - I've just been in NZ for the Social Media Junction 2 conference and heard Louise Denver from Deloitte speaking about their use of social media both with client's and internally. Very impressive for such a large accounting firm to be doing this, they're hugely innovative in the space. Had dinner with Louise last night too, a very impressive woman.